I’ve embraced my role as an Easter egg hider and have just as much fun hiding the eggs as I imagine the egg hunters have finding the eggs. 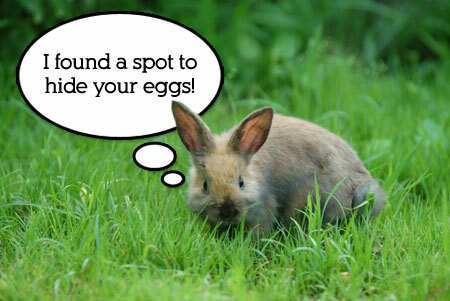 Here are a few tips for how to prepare for and have an amazing Easter egg hunt. 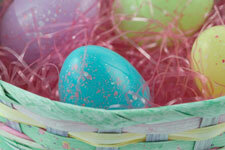 There are a couple of options for Easter Egg Hunt eggs – hard-boiled or plastic. You do not want to use uncooked eggs for an Easter Egg hunt. I’ve always preferred plastic eggs since 1) they won’t start to smell if someone doesn’t find it and 2) I love putting the goodies inside each egg. I usually fill the plastic eggs with 1 or 2 pieces of small candy. Hershey’s has some great options for filling plastic eggs, such as their CADBURY Mini Eggs or HERSHEY’S Cookies ‘n’ Creme Eggs. Or an old bucket. We’re looking for something that the hunters can use to put their eggs in. I recommend a basket that is light weight and has a long handle. The longer handle makes it easier for the hunters to put the eggs in their baskets. Line the bottom of the basket with some plastic “grass” or crumpled paper so the eggs don’t break or split apart as they go in the basket. Egg hunters don’t always handle their egg-finds delicately. Before you hide the eggs, make sure the hunters are inside and away from windows so curious eyes can’t watch you hide the eggs. You can hide the eggs just before the hunt or pre-plan and hide the eggs that morning before anyone arrives. Take a quick egg count so you know how many eggs you’ll be hiding and so you know when they’ve all been found. Tall grass is great for hiding eggs…and is an excuse to not mow the lawn the week before. There’s a strategy for hiding Easter eggs. Hide the eggs in proportion to the age and height of the children who will be hunting for the eggs. If you have very young kids, you want the eggs somewhat “obviously” hidden and lower to the ground, for example in the grass or in a flower pot. Using brightly colored eggs will make it easier for the young hunters to find them. For older and taller kids, you can make the hiding places a little more difficult. If you scope out the area you’ll be hiding the eggs, you can tell what rocks, bushes, etc. are easily spotted and which ones aren’t so obvious. For the more advanced hunters, you can put eggs in bushes, behind rocks, behind pillows of patio furniture, etc. This is the easiest part and the part I have the most fun. Open the doors and let the egg hunters do their thing. As an egg hider, it’s so much fun for me to see which eggs are found first, and admittedly I have a bit of smugness when one of the more advanced hunters runs by a well-hidden egg. If it seems like there are some eggs that you hid a little bit TOO well, you can turn the hunt into a game of hot/cold to help the hunters find their way. Let them know if they’re getting hotter to the egg as they get closer, or colder as they move away. Encourage the kids to keep looking as long as there are eggs. Virtually ever hunt I’ve been to or participated in has ended the same way. All the kids sitting on the ground, their baskets in front of them, counting how many eggs they got, seeing what’s inside, and sampling any candy that was found. The chocolate bunny is still in one piece ….for now. 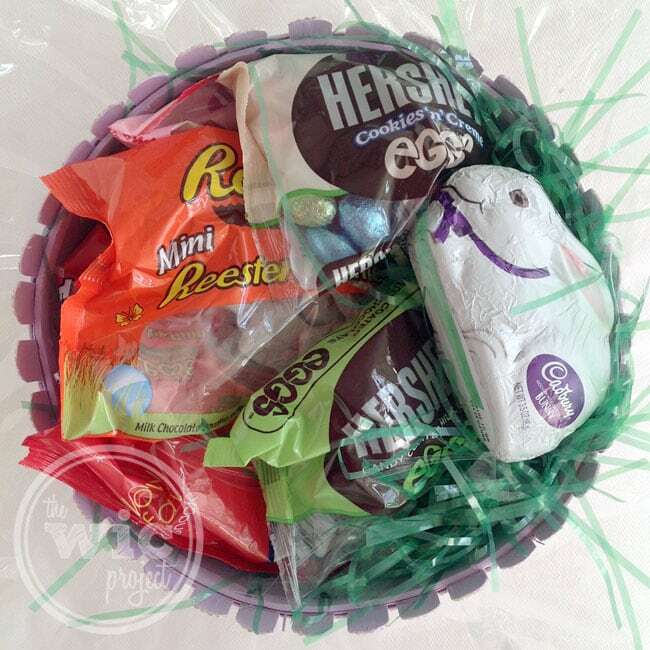 For more great Easter Egg hunt ideas, recipes, and more Easter fun, you can Celebrate Easter with Hershey’s! 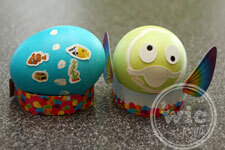 Thanks for the tips – We are planning an egg hunt for tomorrow and these came in very handy. We had fun when the kids were young on Easter. From coloring eggs to the hunt. My kids are all grown up now. But after they found the eggs that we all colored the night before, they would take turns re-hiding the eggs, and then the hunt was on again. 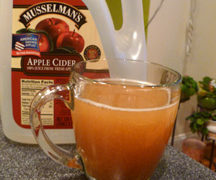 This would last most of the day. In fact they would pull out the plastic eggs too, so there would be more eggs to hide. I loved finding eggs when I was younger. My grandfather would always hide them and sometimes they were hard to find. When I would hide them for the kids I sometimes would forget where I hid them. Good thing the kids were better at finding them! Love the post. You can’t have Easter without having a egg hunt. Even great for the adults, too. Great ideas but this year due to weather we had the hunt inside – not as much fun but at least we didn’t have to wear coats! have to remember these next year! I love hiding them and watching my kids hunt for them!